1500 square foot laboratory for gas chromatography and mass spectrometry. Four Agilent gas chromatographs for gas analysis. Thermo MAT 253 Stable Isotope Mass Spectrometer with dual inlet, microvolume inlet, CNOS collector array, and collectors for “clumped isotope” measurements of CO2and O2. 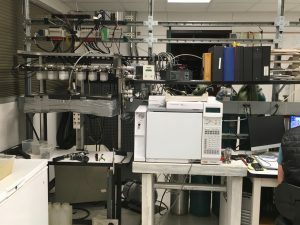 Thermo Delta V Plus Stable Isotope Mass Spectrometer for continous flow applications, GC Isolink system, and custom preconcentration system for stable isotope ratios in methane (in progress). 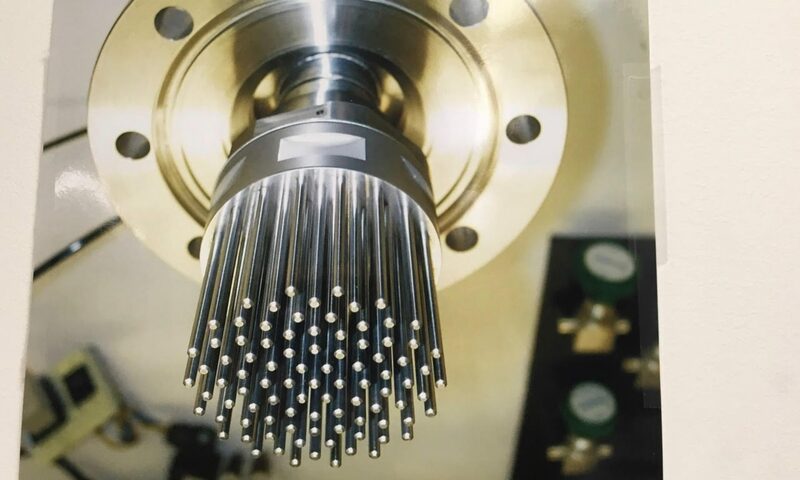 SARA cavity enhanced laser spectrometer for continuous measurements of methane and nitrous oxide and Picarro CRDS laser spectrometer for methane, carbon dioxide, carbon monoxide, and water vapor. Four vacuum lines for gas extraction for methane, carbon dioxide, and nitrous oxide concentrations and isotopic ratios in carbon dioxide and nitrous oxide. 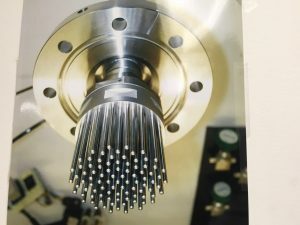 Needle crusher and large volume “cheese grater” for CO2 analysis. Gas extraction and drying system for continuous methane analysis, continuous melter for ice cores. Field methane analysis system including Shimadzu GC 14, and field deployable gas extraction system. 200 square foot -25C walk-in freezer.